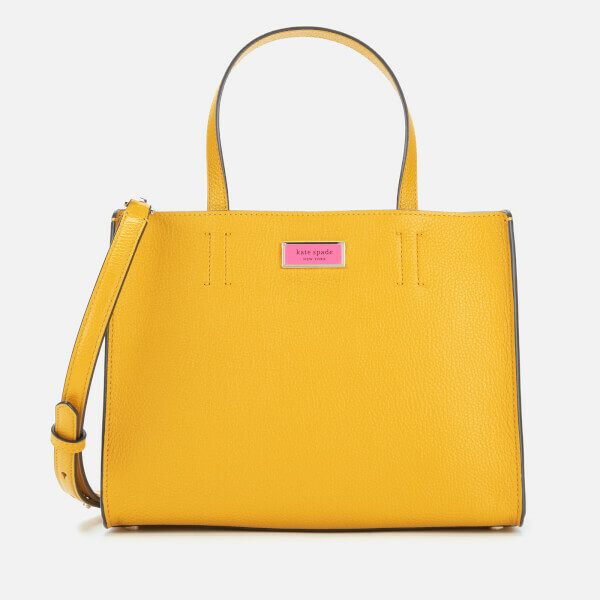 The ‘Sam’ satchel is true to the silhouette of Kate Spade’s original Sam bag. 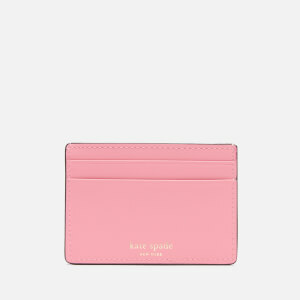 Crafted in pebbled leather, with an enamel logo plate in a contrasting pink shade. 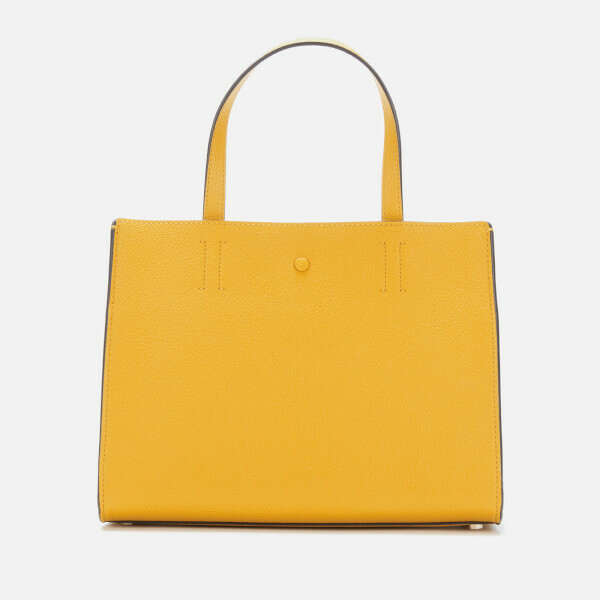 The bag is lined in a cream crinkle patent leather and features an interior slip pocket. The ‘Sam’ also includes a removable interior pocket that can be worn as a wristlet or clutch. Featuring top handles and an adjustable shoulder strap that can be removed. Finished with pale gold hardware and a dog-clip closure. Dimensions: H: 20cm x W: 26cm x D: 10cm. Handle Drop: 13cm. Strap Drop: 56cm.